Emma is a qualified yoga teacher, specialist pregnancy and post-natal yoga teacher, hypnobirthing practitioner, reflexologist and EFR CPR and First Aid Instructor Trainer.She regularly gives talks and presentations about freediving, including at the Royal Society on Exercise at Extremes, The UK Diving Trade Show, NEC Dive Shows, International Universities and presentations in Dubai and Abu-Dhabi. 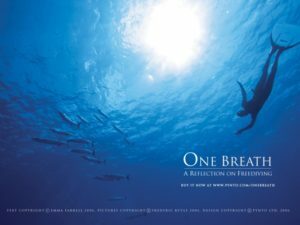 A true freediver is a silent observer of themselves and the magical world underwater. They do not seek to disturb or alter what they see. 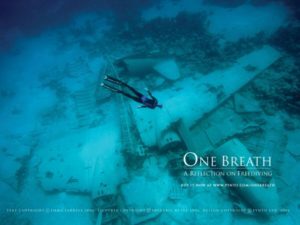 A world champion freediver, a teacher for many years, and now a photographer who has been published across the globe, Frederic Buyle is unique in his vision and approach. 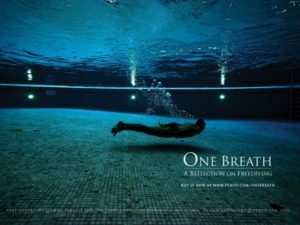 His philosophy is to only take pictures whilst freediving himself, using just the natural light available to him, and to never change the image or direct his subject. 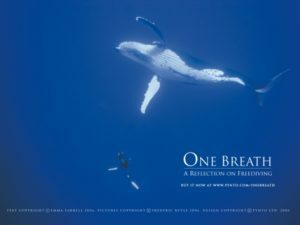 When being photographed for One Breath, the author was instructed not to do anything differently. “Just play around, have fun,” Fred told her. In so doing, he allowed Emma the freedom to be herself under the water, and this gentle treatment of all his subjects has resulted in the beautiful photography that we have in this book. 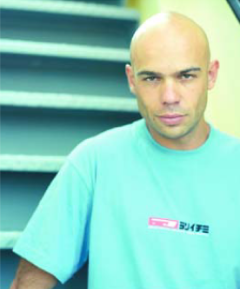 The book price includes a signed copy with optional personalised message, postage and packing.